Chronic obstructive pulmonary disease (COPD) is a living reality for millions of people. This COPD concept map example displays the possible causes, symptoms, and treatments of COPD. 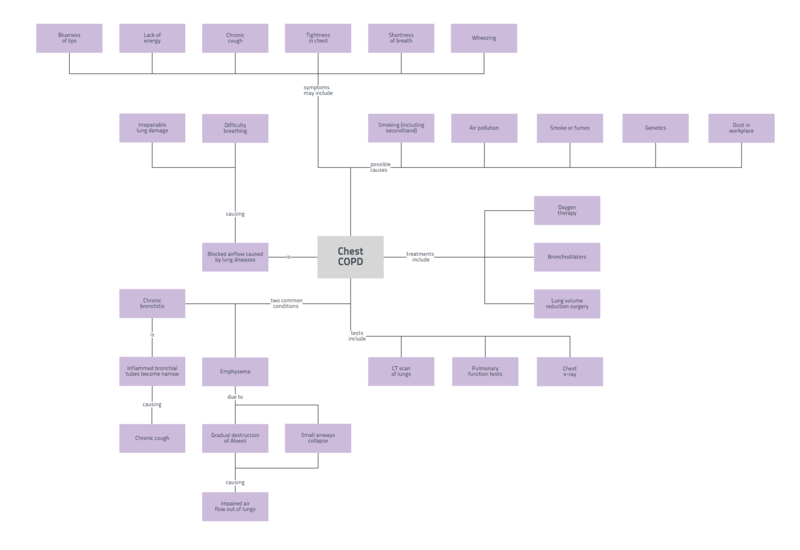 To edit or download this COPD concept map template or to create your own, just sign up for a free Lucidchart account, then log in to start changing shapes, text, and more.